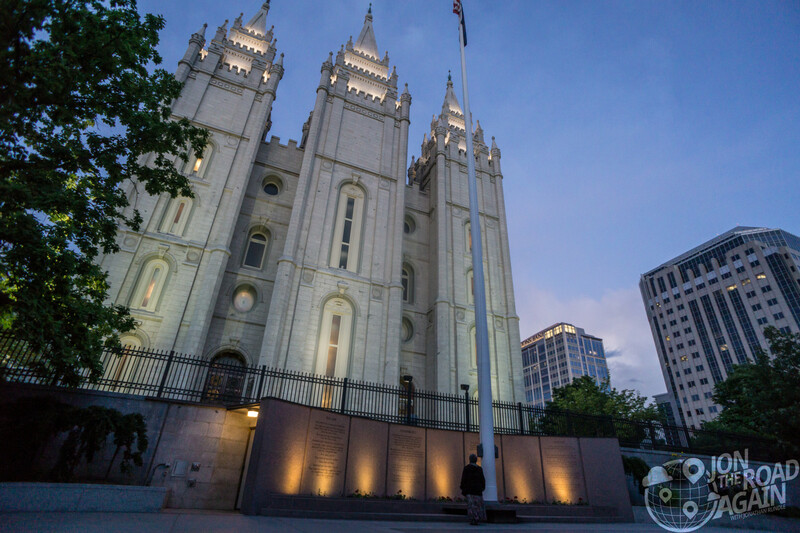 With just an evening to explore Salt Lake City before needing to get back on the road to Motos in Moab, there’s only one site that must be seen — Temple Square. 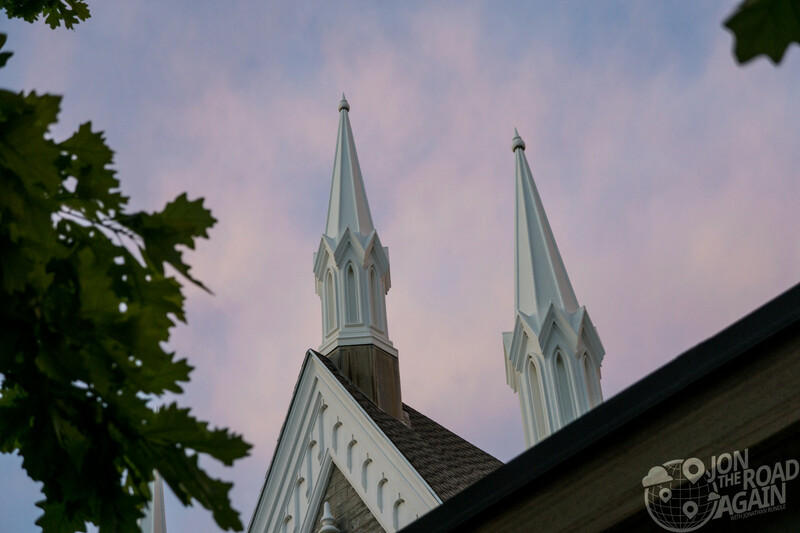 If you have visited this blog before, you may have noticed that I really love religious architecture. The religion, usually not so much. BUT, the Temple is a stunning building set in a beautiful landscape with a world-famous choir. Mormon HQ sits behind a 15-foot wall, which is pretty imposing. I figured it was a somewhat new addition, but the wall was actually the first permanent structure on the land. 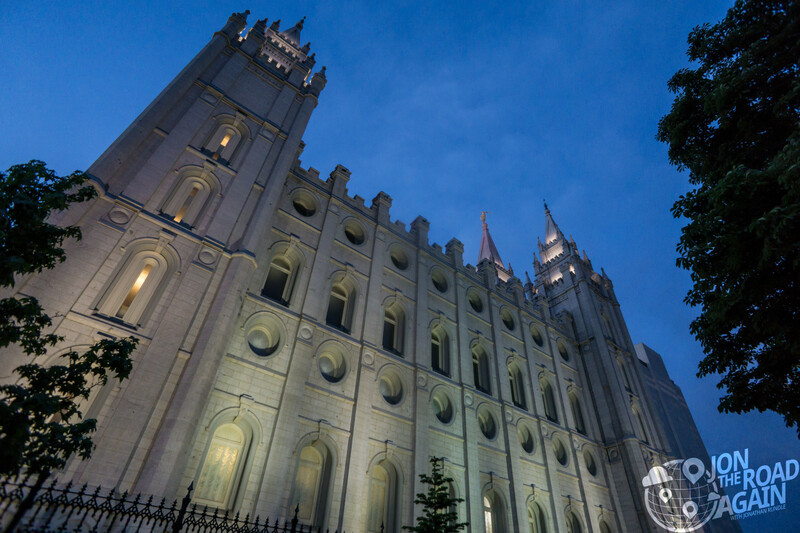 Temple Square is Utah’s #1 tourist attraction, nearly pulling in more visitors than the Utah National Parks combined (5.3m vs. 3-5m). I’ll be no help to the parks in catching up since I’m visiting all of them plus the Temple, obviously. That wall had me wondering if we’d have to pass some kind of test once inside, but the people we incredibly nice. Everyone had a name tag, looked you in the eye and was genuinely interested in how you are doing. I may have felt spirals turning in my eyes. There are a few things to see. Their assembly hall, their gardens, their statues to biologically dubious events. My wife does a lot of ancestral research and nobody collects family data better than the Mormons. How else can they baptize you into the church after death? Anyhoo, the Family History Library is free and open to the public as is their online tool FamilySearch.org. 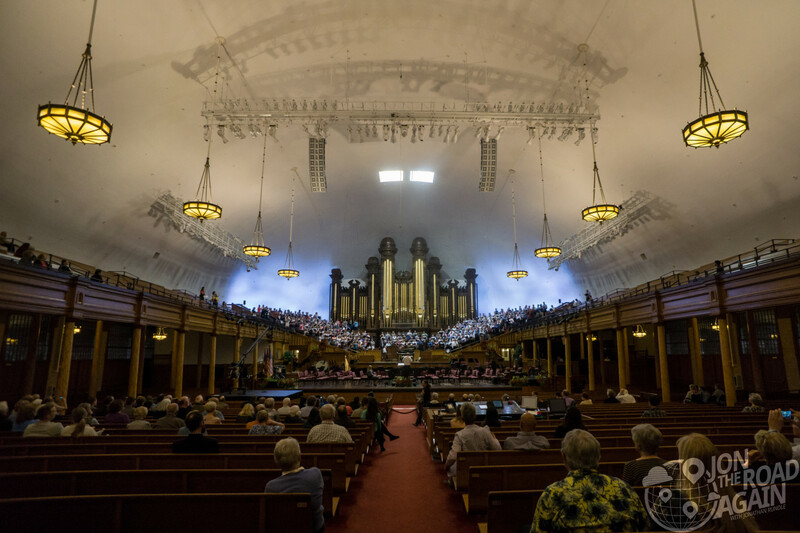 The first building near the South Gate is the Salt Lake Tabernacle, where the world-famous Mormon Tabernacle Choir was inside for practice. An aforementioned nice lady told me I was allowed o go in and listen and that I didn’t have to take photos through the window like some creep. Anyway, in addition to being a Helen Rundle Christmas staple (on cassette), the Choir is known for sold-out worldwide tours and for broadcasting one of the longest continuously-running radio programs. Music & the Spoken Word was first transmitted on July 15, 1929. Through ESP I could feel my riding buddy Aaron’s atheistic tentacles pulling me back outside, so I just sat in for one song. Lovely, though. 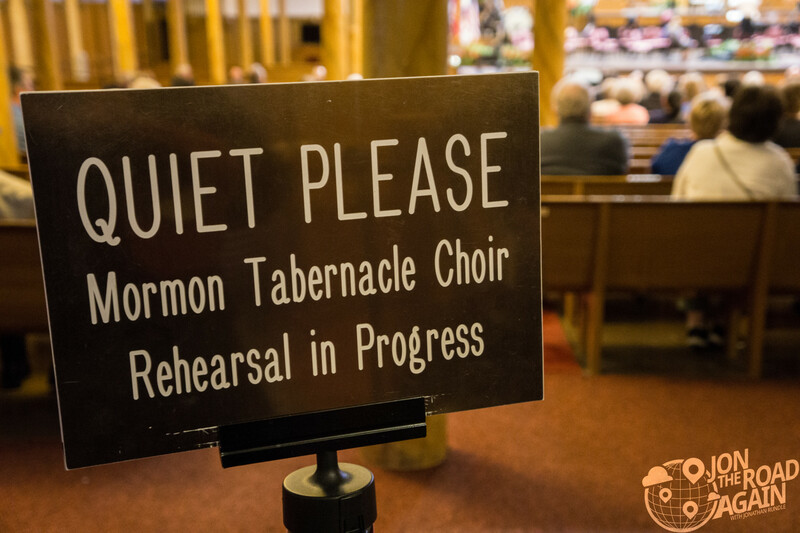 See rehearsals for free every Thursday night from 7:30-9:30pm. 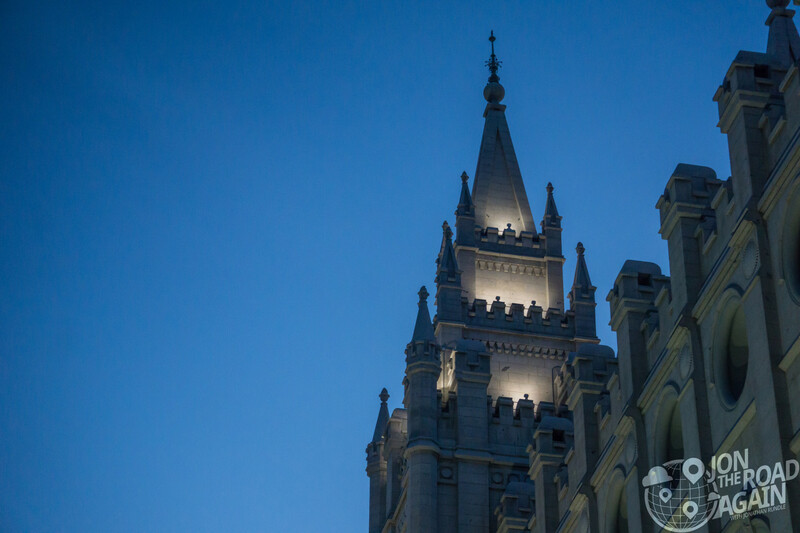 The main attraction in the square is the Salt Lake Temple. It’s a striking building especially at sunset when the spire lights come on and accentuate the features of each tower. Built over 40 years, the temple was completed in 1893. There is a ton of symbolism on the structure (which I love) but will not bore you with the details. I wish I could go inside as I love the interiors of cathedrals even more than I love exteriors. But, you need to be “worthy” to enter. That means you’ve satisfied a list of attributes in your dedication to the Mormon faith. 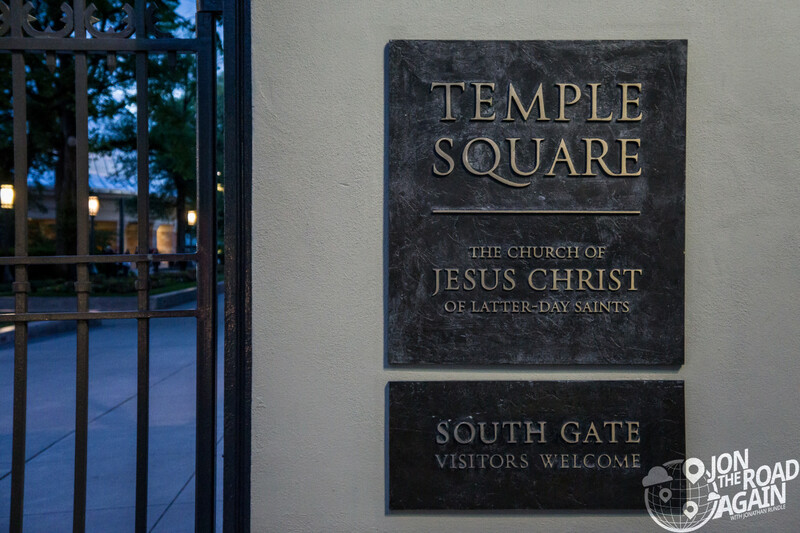 So, sadly, I’ll never see inside the temple. Visit the official website for hours, tours, and a schedule of events. If you have a long layover at the Salt Lake Airport, the Mormons will even send a shuttle for you so you can take a tour.